For the average individual that is not used to the investment market, the variety of available investments can be overpowering. The main differences between annuities, genuine stocks and bonds are confusing. Before spending any money and choosing one or more of these investments, you might want to spend some time understanding the basics. Whether you’re looking to diversify your portfolio or start a new investment, the following guidelines will help provide a clearer perspective. Stock investments are all about buying a percentage of a company that is publicly owned. Based on the general earnings of that company, your stock’s value can alter. If the earnings increase, then your stocks will also increase; likewise, if you invest in a low-performing company, your stocks will drop as well. It can be challenging to invest in stocks. However, the good news is the long term the returns can be quite significant. If you’re new to the investment market, consulting with a financial advisor to help you make the right decision can be the smartest thing you can do. Find some time to read books on the investment market. Perform a thorough research on forums like Bogleheads to get a feel of the investment world, and try to understand the raw meaning of an investment allocation, bond, stock, mutual fund or ETF. 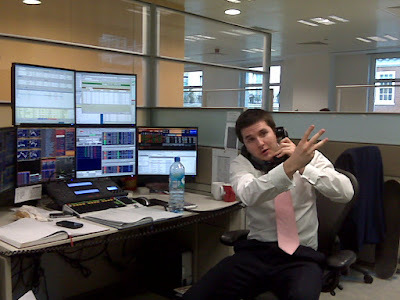 Exchange traded funds in particular, is a form of investment that keeps costs low. In time, those small fees and percentages will add up, and the amount you initially spent will increase. Before making the decision to invest in bonds, you should know there are various ways to do it, including unit investment trusts, individual bonds and bond funds. If you’re attempting to diversify your investment portfolio, it is important to choose bonds that match with your needs and expectations. The majority of individual bonds are traded on the OTC (over-the-counter) market. In general, bonds are sold in denominations of $5,000. Buying a bond means that you’re loaning money to an issuer; this issuer can be a corporation, government unity or bank. The issuer will use your money to fund special projects, and in exchange for the money you’ve spent, it gives you an annual fixed interest payment. The general prices for a bond are based on interest rates. If interest rates increase, the prices for the bond go down; if they fall, the bond’s value increases. Also known as shares of stock, stock investments are an ownership interested within a certain company. Bonds on the other hand, are a special form of debt in the long term that makes the issuing corporation (the lender) promise to give back to you an amount based on a specified interest rate. The owners get stock dividends from stock investments, whereas bondholders get a paid interest rate. In an attempt to beat the market, many investors make the mistake of under-performing it; that’s because they usually end up buying and selling when they shouldn’t. As far as annuities are concerned, prospective investors should know that this form of investment is issued by an insurance company. 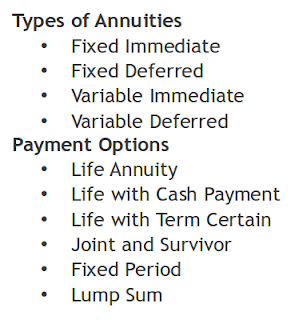 Annuities are common retirement investments; they permit an investor to build up money that is tax-deferred, and then withdraw the money when that investor needs it. Annuities are split in 3 main types: fixed annuities – which provide a fixed-interest rate for a specific time period issued in the contract, variable annuities – which are an investment collection with tax-deferred earning, and indexed annuities – which grow based on the way the equity market performs. both annuities and bonds are popular investment forms with extremely vast benefits. Annuities offer retirees a guaranteed paycheck that’s similar to a salary, while bonds provide guaranteed regular interest for a fixed period of time. Annuities are bought from life insurance companies, whereas bonds are bought from major corporations, governments and municipalities. An annuity is similar to a contract between an insurance company and an investors; a bond on the other hand, is a loan offered by an investor to a government body or business. Whether you’re thinking to invest in stocks, bonds or annuities, it’s fundamental to consult with a financial advisor first. Be clear from the very beginning and specify how much you’re willing to risk; express your expectations, demands and requirements, and settle on an investment plan together. A well-rounded investment portfolio might bring you significant returns in the long run. About the author: Davis Miller is the writer to this article. He is a regular contributor at many sites and mainly focuses on business and finance related topics. Also he works for http://www.synaptic.co.uk/ where you can find various financial research tools for financial advisers and planners.